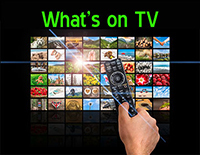 Watch live and archived TV shows plus sports from anywhere via Internet and Watch TV Anywhere. HMU cable customers can click here to sign up for Watch TV Anywhere. Harlan Municipal Utilities is Harlan's premier provider of Electric, Gas, Water and Telecommunications products and services. Proudly serving Harlan for over 128 years. Copyright 2019. Harlan Municipal Utilities. All Rights Reserved.